Not everyday do we eat, breathe, and sleep the same old same. Today instead of sharing the expected Meteors ‘n Milk thing I wanted to share what I did today. 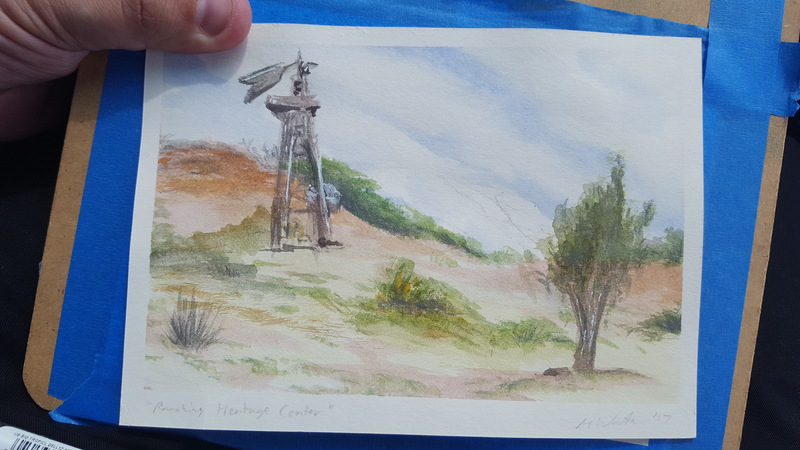 I was asked to assist in doing a workshop of Plein Air painting at Lubbock’s Ranching and Heritage Center. Tons of local area teachers of all levels from elementary to high-school came together for this wonderful experience to paint outside. I did little demos and gave technique ideas and engaged in some incredible conversation. So here is a quick little study I did showing some various methods and techniques. It was such a blast with such amazing, creative, and inspiring teachers that I met. It was over way too quickly and I wish I had more time to talk longer and meet more. 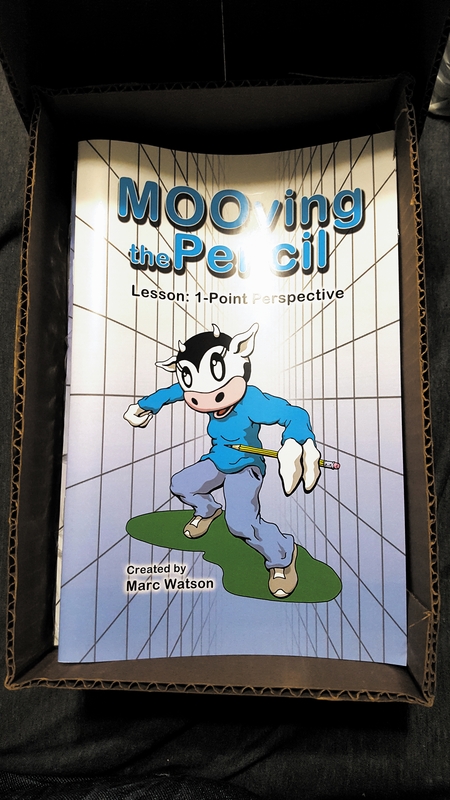 I was also fortunate enough to have Texas Tech Visual Studies sponsor the distribution of my guide to 1 point perspective to all the participating teachers. It was met with great thanks and I couldn’t be happier. Tomorrow I promise I will reveal my Wonder Woman piece and give more details on that then. So I will see you on the next page my friends….